Freda received the 2017 Arkansas Arts Council Governors’ Award in Folk Life for her body of work contributing to the preservation and representation of Arkansas life and history. 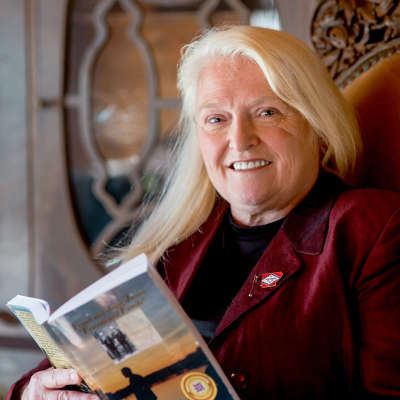 Her works include the Historical Driving Tour along Highway 5 north of Mountain View and books – Voices of Our People, Places of Our People, and Frank and Jesse James: Friends and Family. From the Junction of 5, 9, 14 at Sylamore/ Anglers Restaurant—continue on Highway 5 North 3.5 miles to the first paved road Sunset Valley, turn right, come 1 mile on paved road to 1003 Sunset Valley Road on the right.